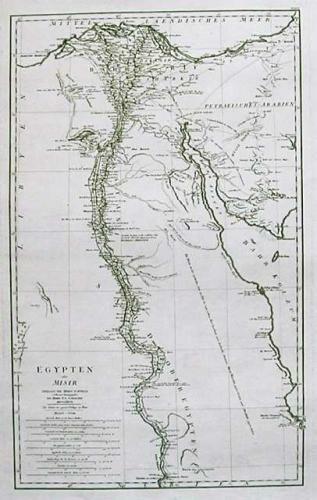 A finely engraved chart of the Nile River valley from Aswan in the south to the delta. The map is based on D'Anville's "Egypte nommee dans le pays Missir" dated 1765. It is filled with incredible detail including the location of emerald mines, ancient ruins, and caravan routes.